Literacy propels independent thinking, reading, writing, speaking, listening, and new literacies. 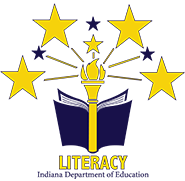 Standards-based and disciplinary literacy instruction accelerate student gains. Literacy is a fundamental part of instruction in all disciplines. Evidence-based instructional approaches transform an emergent reader into a skilled reader and lifelong learner. Administrators and school leaders are change agents with the power to create and support a culture of literacy. Teachers as adaptive experts have the most impact on student learning. Family and community members are essential partners in promoting a culture of literacy.